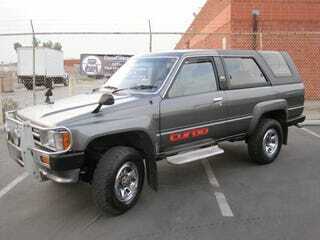 A buddy of mine had a 4Runner like this back in high school. Awesome vehicle, and this one is just more awesome. Unfortunately I call CP on this one. But an RHD, convertible (read removable top), 4x4, manual, turbo diesel truck is pretty much the coolest thing since coke in a glass bottle.